Box Text: How Big is Your Brain? 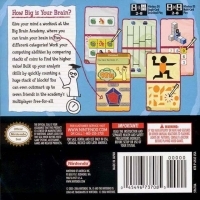 give your mind a workout at the Big Brain Academy, where you can train your brain in five different categories! Work you computing abilities by comparing stacks of coins to find the higher value! Bulk up your analysis skills by quickly counting a huge stack of blocks! You can even outsmart up to seven friends in the academy's multiplayer free-for-all. 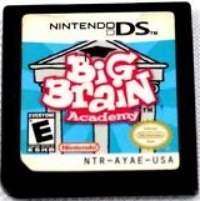 This is a list of VGCollect users who have Big Brain Academy in their Collection. 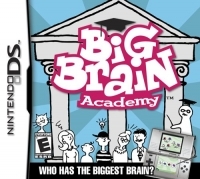 This is a list of VGCollect users who have Big Brain Academy in their Sell List. This is a list of VGCollect users who have Big Brain Academy in their Wish List.